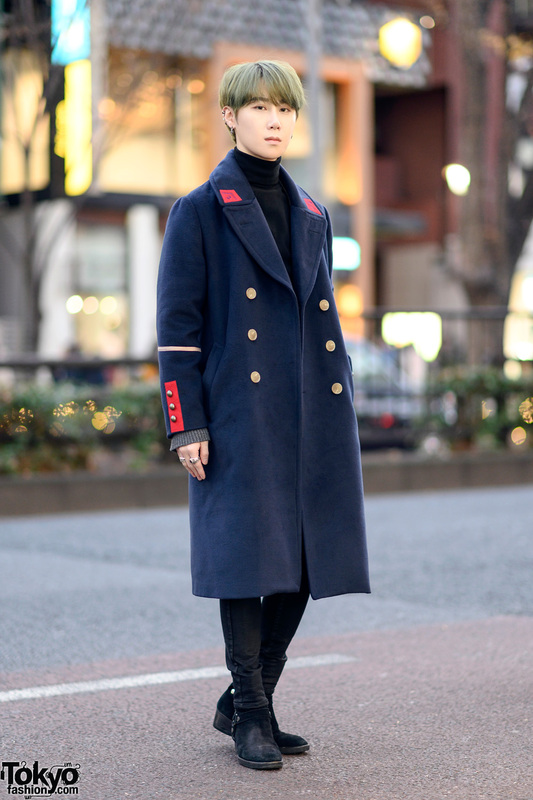 Harajuku guy in a military coat, turtleneck and skinny jeans while out and about on the street. 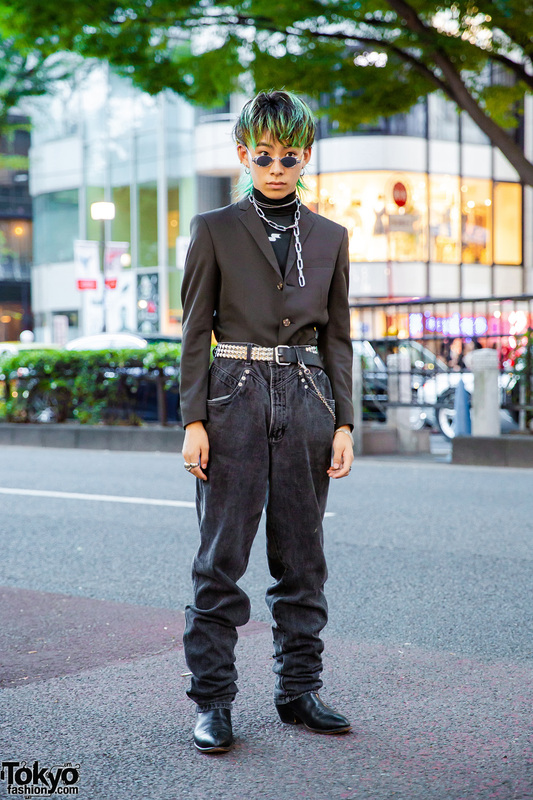 Green-haired Harajuku guy in a vintage tan jacket, black jeans, and vintage cowboy boots. 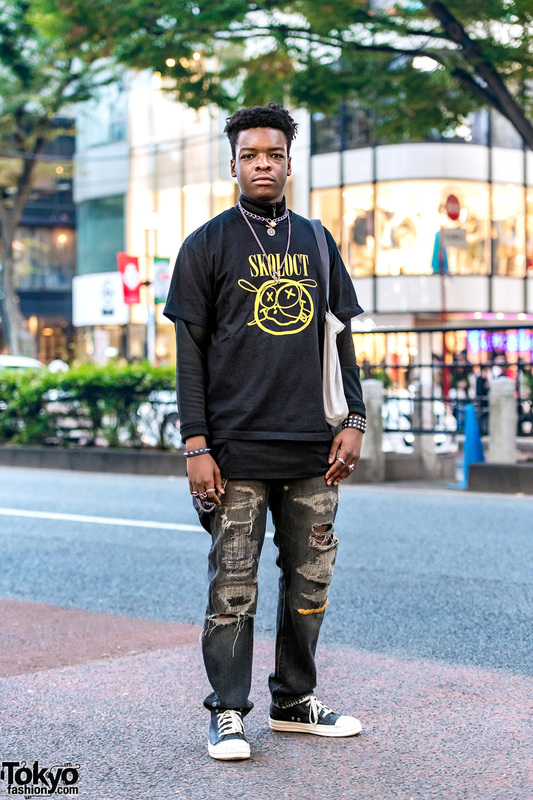 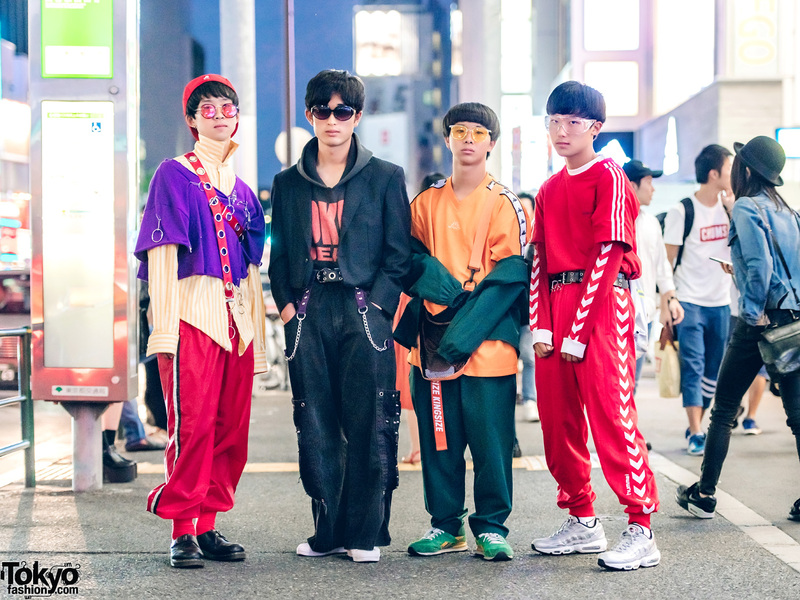 18-year-old students showcasing colorful vintage streetwear in Harajuku. 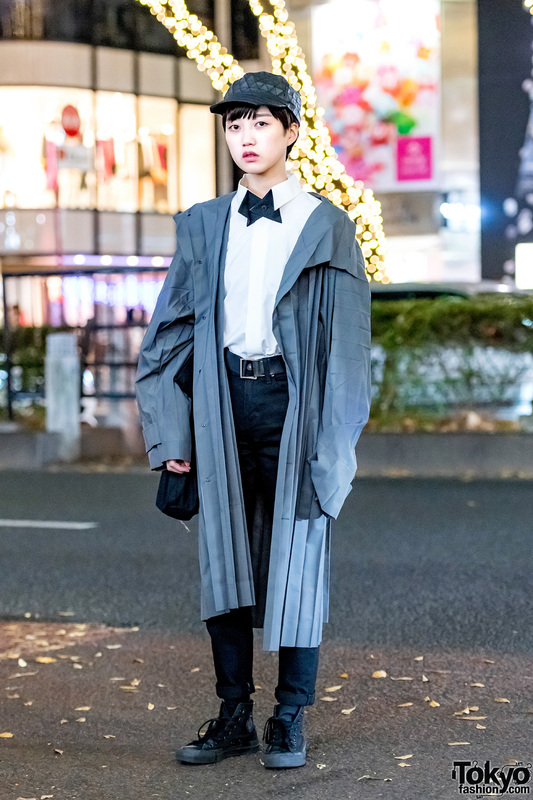 Japanese student showcasing androgynous street fashion while out and about in Harajuku. 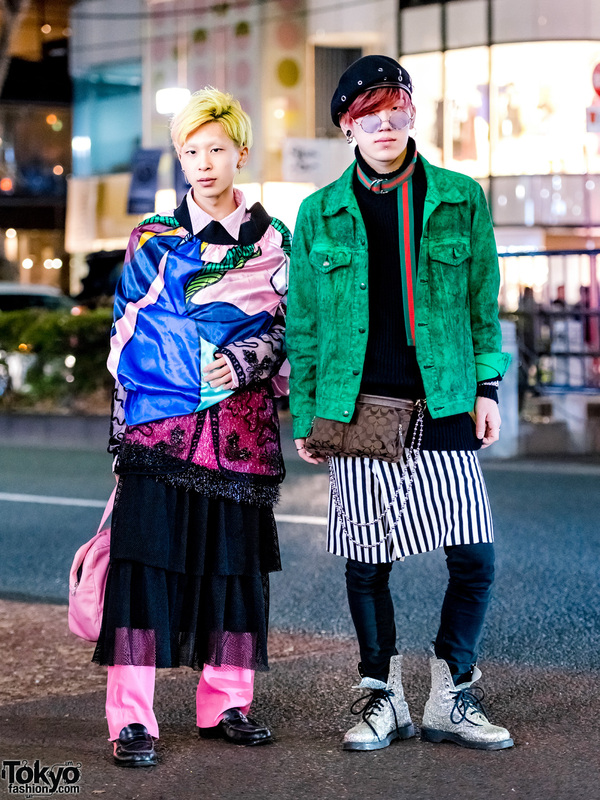 Japanese students showcasing contrasting street styles while out and about in Harajuku. 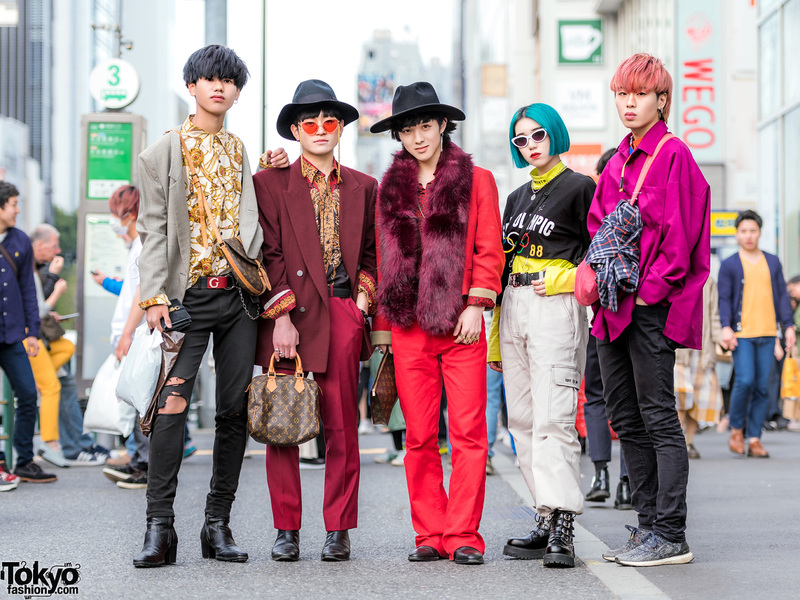 Harajuku guys in skinny jeans fashion wearing graphic shirt, denim jacket over white shirt, black skinny jeans, creepers, boots, earrings, black bag, a clutch and a statement leather cuff.